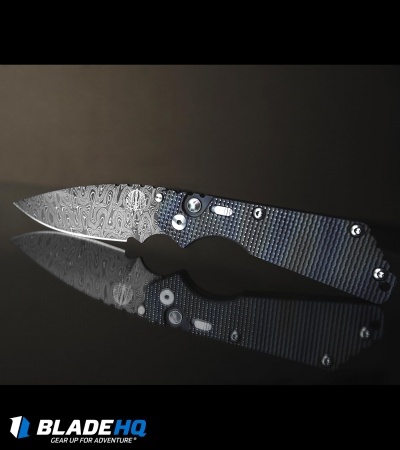 This custom Pro-Strider SnG is a stunning collector's item, limited to just 30 pieces! 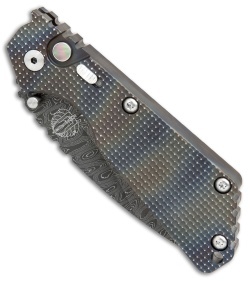 It has a knurl pattern milled titanium handle with a heat colored finish and orange peel finished edges. 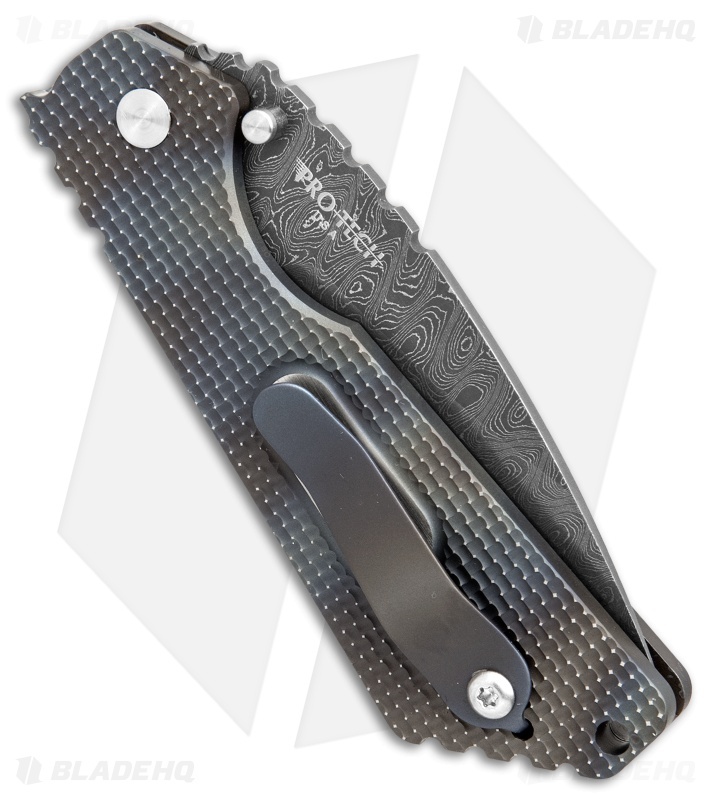 A mother of pearl push button insert, front-mounted safety, and titanium pocket clip finish off the exquisite design. 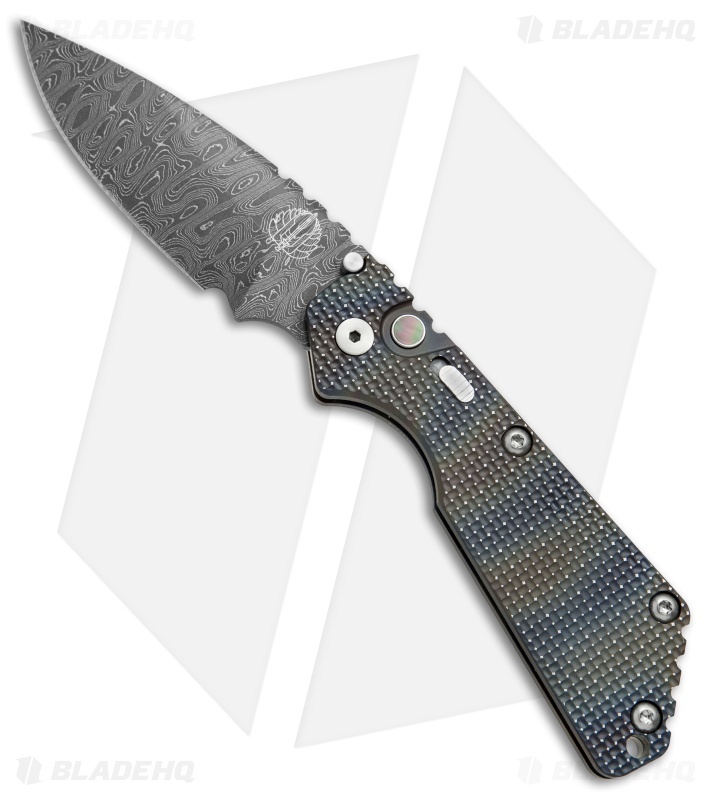 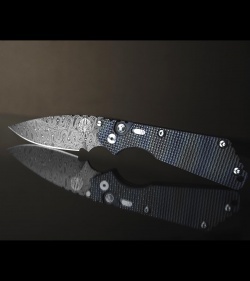 The drop point blade is premium Chad Nichols Damascus.